It generated $16b in sales - with most of the income coming from tencent. In 1999, Pets.com sought to capitalize on widespread internet access and a $23B pet supplies market by selling products directly to consumers. They raised $50M funding - to be spent on marketing - By the time Pets.com went public with an $82.5M IPO in February 2000, it had lost $61.8M on $5.8M in sales. Pets.com had 570,000 customers, with its costly marketing operation spending about $158 for every new customer . And then the tech boom bible burst and boom - that saw them as well as Value America, Garden.com, and Mortgage.com die and liquidate! History would prove that its value proposition — selling pet supplies to consumers online — was ahead of its time. The next decade saw the cost of ecommerce and digital marketing reduce dramatically, and people with access to broadband jump from 48m to 232m. With lower costs and a bigger market to sell to, new online pet supplies retailers emerged - and Chewy.com, for example, was acquired by PetSmart for $3.35B in 2017. It was the biggest e-commerce acquisition in history. 55 fewer than a year ago. 994, or 46%, are poorer (relatively speaking) than they were last year. Total wealth $8.7 trillion, down $400 billion from 2018. 11% of last year’s list members, or 247 people, dropped out of the ranks, the most since 2009 at the height of the global financial crisis. Asia-Pacific was hardest hit, with 60 fewer 10-figure fortunes. That dip was led by China, which has 49 fewer billionaires than a year ago. Europe, the Middle East and Africa also lost ground. The Americas, driven by a resurgent Brazil, and the U.S. are the only two regions that have more billionaires than they did a year ago. There are 607 billionaires in the U.S. That includes 14 of the world’s 20 richest. Jeff Bezos is again number 1 in the world, followed by Bill Gates at number 2. The richest newcomer is Colin Huang, the founder of Chinese discount web retailer Pinduoduo, which went public in the U.S. in July. Other notable new entrants include Spotify’s Daniel Ek and Martin Lorentzon; Juul Labs' James Monsees and Adam Bowen, Kind Bar’s Daniel Lubetzky and cosmetics wunderkind Kylie Jenner, who is the world’s youngest billionaire at age 21. Sorenson Ventures, an offshoot of Utah private equity firm Sorenson Capital, announced today it has closed its first fund with more than $110 million to invest in early-stage security and enterprise software companies. The young venture capital firm was formed in 2017 by Sorenson Capital, which recruited former Intel Capital executive Ken Elefant as managing director. Elefant shares leadership of the VC spinout with Sorenson Capital’s managing director Rob Rueckert. The pairing was a reunion for Elefant and Rueckert, both former Kauffman Fellows who were also colleagues at Intel Capital. Menlo Park, CA-based Sorenson Ventures draws on the expertise of Sorenson Capital while strengthening the larger firm’s ties to early-stage entrepreneurs in Silicon Valley. The Salt Lake City-based private equity firm, founded in 2002, focuses on the other end of the investment spectrum—growth equity and buyouts. It has more than $1 billion under management. 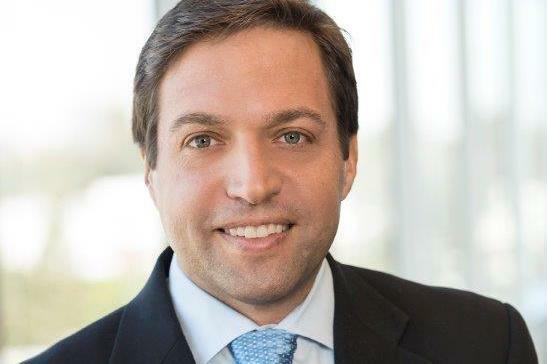 Sorenson Ventures raised its inaugural fund from investors that included an insurance company, foundations, endowments, corporate investors, family offices, and individuals, including managing directors at Sorenson Capital. Since 2017, when the VC firm raised its first funding, it has backed eight early-stage companies, ranging from cybersecurity startup CyCognito to machine-learning business Paperspace. The firm now plans to expand its stable of startups to include as many as 20 companies. It has led most of the investments in its portfolio companies, and has also joined in syndicated fundraising rounds with established VC firms including Lightspeed Venture Partners, Battery Ventures, and Accel. “We are product-first investors and are attracted to entrepreneurs who use their engineering vision to change markets, which you will see evidence of in our first eight investments,” Elefant (pictured) said in the announcement of the fund’s closing. Palo Alto, CA-based CyCognito is the best illustration of those traits, Rueckert wrote in an e-mail to Xconomy. Rapyd, a fintech founded by CEO Arik Shtilman 4 years ago has raised $40 million in series B funding from Stripe and General Catalyst and others , to further expand its operations worldwide. Rapyd helps companies and merchants of all sizes integrate a range of payment services into their platforms, and operates on a fintech-as-a-service model. It offers a technology stack that provides support for financial, payment, mobile wallet, and money movement services through a single API. The Rapyd solution provides a single point of reconciliation and settlement of all funds across 65 currencies and the ability to pay out in over 170 countries. The Capital is going to be used to expand to more markets across the Americas and Europe, Middle East, Africa (EMEA) and Asia-Pacific (APAC) regions and to further develop its infrastructure. Founded in 2009, Entrée manages more than $300 million across a number of funds and its portfolio includes the likes of SnapChat, Stripe, Deliveroo, Prospa, monday.com, Riskified, HouseParty, Stash, PillPack, SeatGeek, Coupang and over 50 other investments. Managing partner of the fund Avi Eyal picked fintech as a growth industry in 2015! Was definitely the right call! Referron - Join so I can refer relevant people to your business! Copyright of Ivan Kaye - BSI. Simple theme. Powered by Blogger.